We are always saddened to learn of the passing of our WSHS Alumni. This page was created to pay tribute to their memory and know that they will not be forgotten. So that we may account for everyone, please provide information on any deceased classmates not listed. *The names added to this page are from classmates and research. 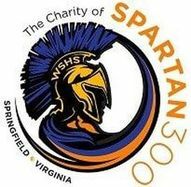 Spartan300 does not make any representation as to the complete accuracy of the names of the deceased.